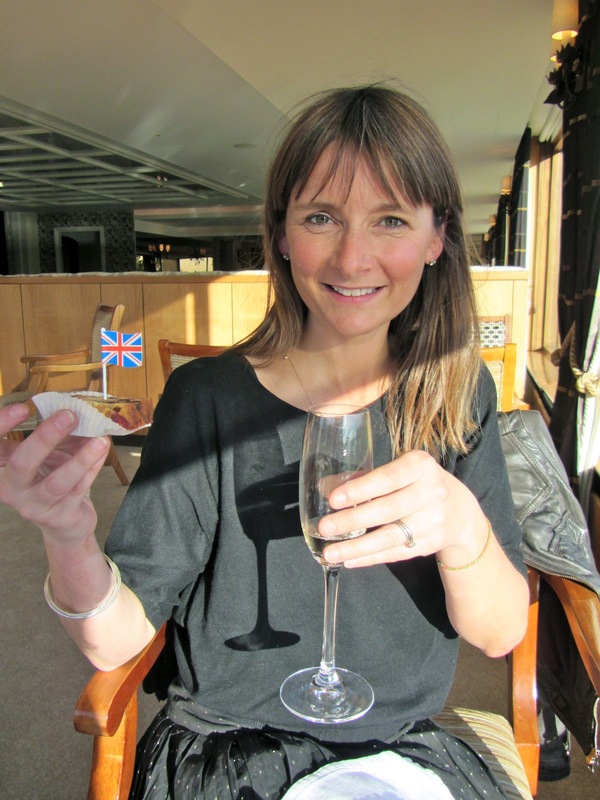 In celebration of the Queen's Diamond Jubilee in June, The Petersham Hotel in Richmond is putting on an afternoon tea fit for.. well a Queen of course! 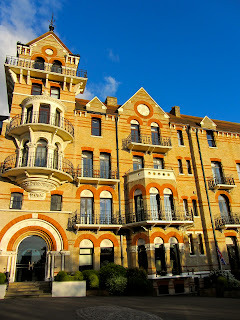 The Petersham Hotel is a privately owned hotel built in 1865 which sits proudly in an enviable position on the side of Richmond Hill, next to the park and overlooking the River Thames. 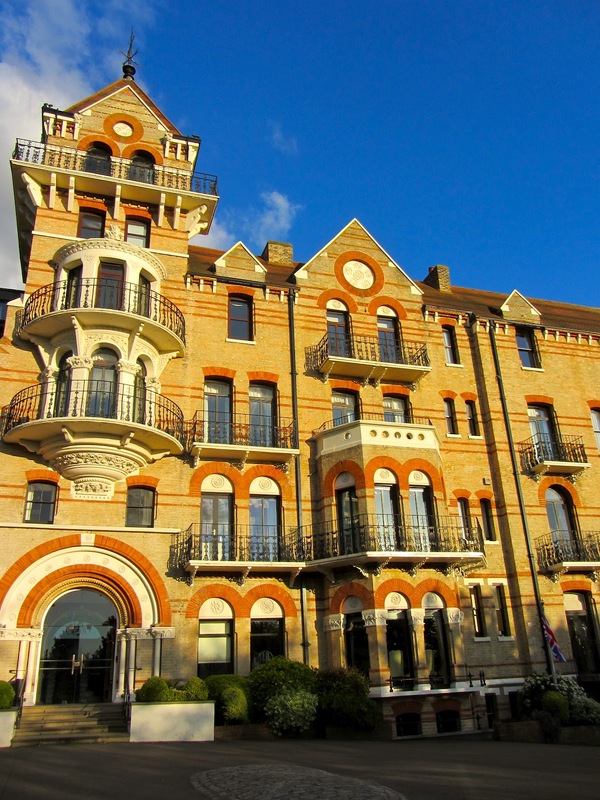 Richmond is without a doubt one of the prettiest Boroughs in London, and even though it feels like you're in the middle of the countryside, it is still at the end of the district line, so you can dash there from the centre of London with relative ease. 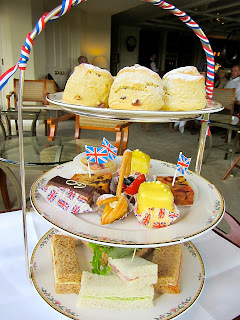 Which is exactly what a friend and I did last week when The Petersham Hotel kindly invited us to sample their Diamond Jubilee tea. As we arrived at The Petersham Hotel, the friendly and attentive staff showed us to our table in the award-winning restaurant which is located within a modern extension to the side of the hotel. Personally, I found the restaurant decor rather dated and not my cup of Earl Grey at all. But the large windows offered stunning, panoramic views over the river and meadows full of roaming cows over yonder, which more than made up for the drab interior. We basked in the sunshine which was streaming through the window as we tucked into such delights as traditional cucumber sandwiches, majestic fondant fancies and perfect scones, all washed down with a selection of teas. 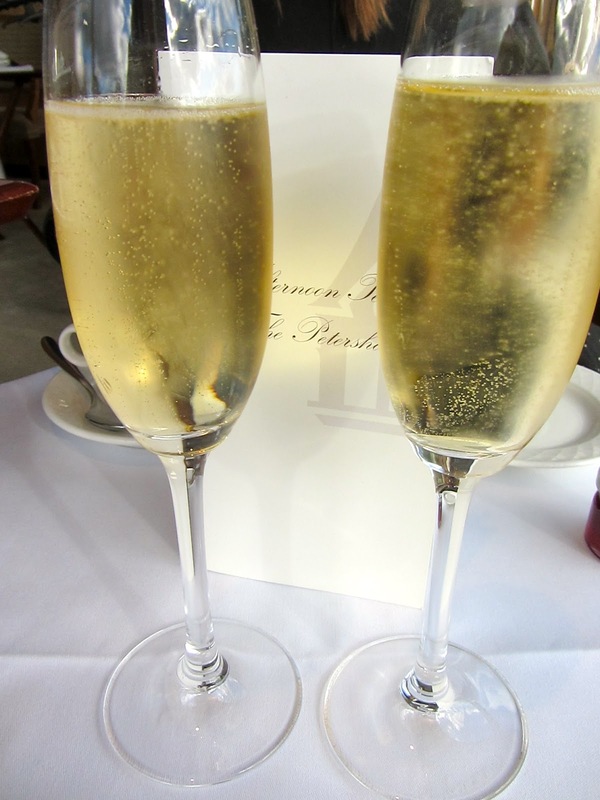 And not forgetting our glass of Petersham bubbles! The Diamond Jubilee tea has been created by resident Pastry Chef, Alison Dabbs, and was so good, I'm sure Her Majesty would definitely give this afternoon tea the Royal seal of approval! The Diamond Jubilee tea is being served until 24th June 2012 and costs £23.50 per person (£36 including a glass of Petersham Champagne) £1 from each tea sold will be donated to the Museum of Richmond's 'Happy & Glorious' exhibition. Miss Immy was a guest of The Petersham Hotel.